A debut memoir places the author’s personal history in the panoramic context of world events. Memoirs have a tendency to collapse, failing to provide a justification to readers as to why they should care about the details of a particular life. Diamant weaves her own autobiography into the fabric of world history, furnishing a sweeping account of the troubled past of Yugoslavia. Having grown up in postwar Yugoslavia under Tito’s rule, the author portrays a nation struggling to discover, or invent, its identity. Diamant’s reflections on socialism, an ideology she eventually, if only partially, rebelled against, are philosophically provocative: “From the start, I was buffeted by contradictory influences. Socialism implanted in us notions of equality and justice for all, while everyday life demanded to either live accordingly or skirt those ideals.” She eventually left her homeland to study in West Germany, met an American in Munich whom she married, and moved to San Francisco, a hotbed of cultural vitality, in the 1970s. There, Diamant found her bearings as an artist, a development she doubted would have been possible if she hadn’t moved to the U.S. The author’s account includes nearly as much biographical information about her mother and grandmother as it does about herself, a testament to the extraordinary influences both women had upon her. (“Every child deserves a grandmother like mine,” Diamant writes. “She was never effusive, but everything said was meant and true.”) The author’s writing is clear and sharp, and her vivid anecdotal reports of her life are typically accompanied by meditative reflections on a wide range of issues, from geopolitics to poverty. The book describes her childhood as “poor but not miserable,” delivering a welcome counterpoint to Western depictions of life in postwar Yugoslavia that sensationally emphasize squalor and despair. The deaths of her mother and grandmother are poignantly discussed as transformative moments in her life, as is the dissolution of Yugoslavia, the three pillars of her self-conception. The memoir’s most satisfying aspect is the artful way the author seamlessly combines the general and the particular, making her own life a microcosm of universally relevant human dramas. In response to a postcard her uncle sent in 1938, she wrote: “What existential uncertainty—both personal and of the times.” The reader will likely feel the same about this affecting remembrance. 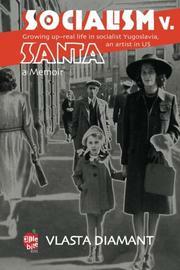 A deep, vibrant recollection of a fascinating life lived in tumultuous times.